New car buyers now have more options than ever when it comes to selecting and customizing a vehicle. Amongst the many flashy entertainment systems are important new safety technologies that could prove lifesaving in a time when U.S. road fatalities are dramatically on the rise. Despite experiencing a decline in injuries after the economic crash of 2008, Americans have since returned to the road en masse. The National Highway Traffic Safety Administration (NHTSA) projected that 2016 traffic fatalities would be at least eight percent higher than 2015 fatalities (which were, in turn, 7 percent higher than 2014 fatalities). The Oregon Department of Transportation reports there were more than 55,000 crashes in the state in 2015, with 410 of those being fatal – a 27 percent increase compared to the year before. When crashes do occur, injury victims have important legal rights which must be protected after any Portland car accident. Unfortunately, it takes years of data and a robust body of research to accurately determine the effectiveness of such features. The example of lane departure system research shows the difficulty in analyzing the available research. The Insurance Institute for Highway Safety recently published a study which found that lane departure systems decreased the risk of single vehicle, sideswipe, and head-on collisions by eleven percent. Injury rates in these collisions was reduced by twenty-one percent with the presence of lane departure technology. Conversely, Jalopnik reported on one study that found crashes to increase in vehicles with lane departure warning systems. This does not mean there was fault with either study. Like all statistical data, it requires a vast body of consistent results to draw accurate conclusions. 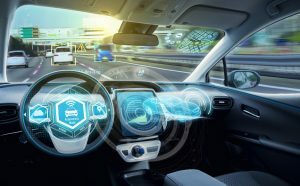 Until there is a more extensive body of data, consumers are advised to carefully research and identify safety features which are best suited to their personal driving habits. In recent years, distracted driving has become one of the most common factors in auto accident fatalities. Mobile phone manufacturers are attempting to address this problem by improving and enhancing “do not disturb” features on smartphones. As usual, Apple has been leading the pack with regard to this trend. Business Insider reports that the iOS 11 operating system for iPhone – due for release in late 2017 – will include a comprehensive “do not disturb while driving” function. This function will automatically detect when a user is driving and engage itself. The user receives no notifications and cannot access the home screen until he or she stops driving. The user can override this setting by following a series of prompts. While this override feature is necessary in the event a user is the passenger (not driver) of a vehicle, it leaves open the concerning possibility that users can override the feature and use a fully accessible smartphone while driving. The fact remains that no vehicle or mobile device safety feature can prevent all car accidents. Drivers must accept personal responsibility for safe driving habits. Automated technologies also raise complicated legal questions of liability. Now, more than ever, it is important for injury victims to consult an experienced Portland auto accident attorney to protect their legal rights.